Accepta’s range of high quality general speciality chemical products can be used in a range of commercial, manufacturing, municipal and industrial process applications. Accepta’s range of high-quality general speciality chemical products can be used in a range of commercial, manufacturing, municipal and industrial process applications. Accepta’s range of cost effective general chemicals are manufactured to the highest quality standards to deliver superior performance. 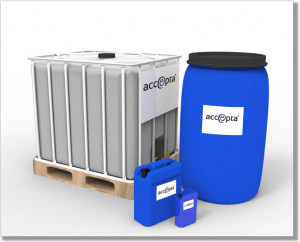 Accepta’s range of general chemicals includes alkalinity builders, acids at varying concentrations, fuel oil conditioners, heavy metal precipitants, de-chlorinators and more.